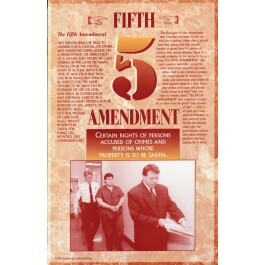 This educational poster features the text of the Fifth Amendment, a clear explanation of the rights it protects, and a quick summary of those rights. It also includes a photo that shows a prisoner in police custody. 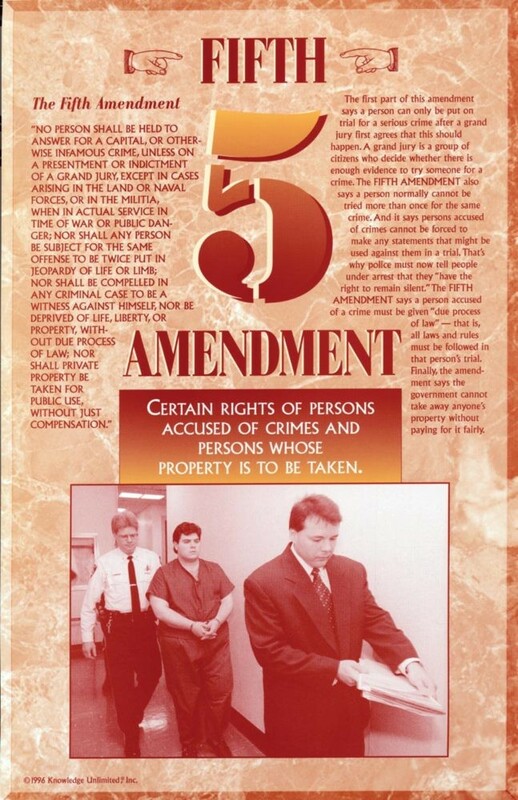 The Fifth Amendment sets down some of the most important rights for people accused of crimes. These rights protect all people from being unjustly imprisoned or punished. This poster is a great way to educate students about these important rights and what they mean in our free society.